Here's a logo I (quickly) worked up for a recent BarcampNOLA Hack Day project. 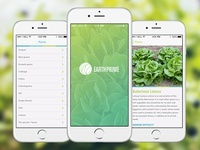 Our awesome team created a website that aggregates tweets & relates to New Orleans... in a day. 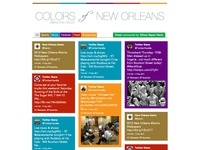 We chose to highlight food, sports, music, festivals & community, by styling incoming tweets to show The Colors of New Orleans. The project in still a work in progress—we hope to pick up where we left off fairly soon.